American mezzo-soprano Frederica von Stade. A Non-Mormon Assesses A Mormon "Take" on the Requiem That Is a Sweetly Sublime Masterwork! 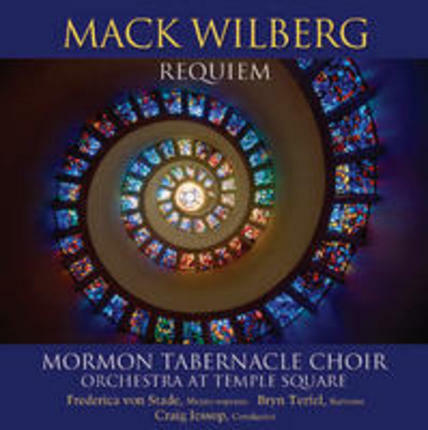 Those who are deeply familiar with the Mormon choral traditions in composition, arrangement, and/or performance will be somewhat less surprised than other listeners at the beauty of Mack Wilberg's oecumenical Requiem (to parts of the Romish Catholic text in Latin of the Missa pro defunctis mixed with other texts in English). Indeed, Mormon choral music and hymnody have flourished in both of the major Mormon groups, i.e. in the L.D.S. as well as in the (lesser-known, numerically less numerous) R.L.D.S./Community of Christ denominations (or, as many rather acerbically designate (whether justifiably or merely contentiously) the former as a pagan cult and the latter as a slightly off-kilter Christian sect). 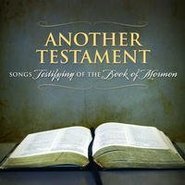 The texts which Mack Wilberg sets to music on this CD of his choral music include only two, both by David Warner (a frequent collaborator with Wilberg as author of words for his music), that, presumably, are by any specifically Mormon author. Recommended to, among others, music lovers eager for discovery of worthy new choral repertory and, naturally, to the many collectors who make a point of seeking out various settings and concepts of the funeral music known, however loosely, as Requiem. 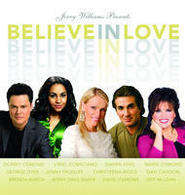 I saw this amazing concert performed Live at the Mormon Tabernacle in Salt Lake City, this spring. It brought tears to my eyes and took me out of this world and into higher realms. It is beautful beyond words. Mack Wilberg is a composer who will be remembered and loved for centuries to come. Simply magnificent. I've been familiar with Wilberg's choral arrangements for some years now, but these original compositions are a revelation! The Requiem blows other contemporary Requiems (Rutter, Lloyd Weber, Tavener, Jenkins) out of the water -- it is heartfelt, genuine, soothing, and impeccably crafted. 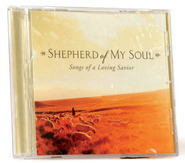 The other shorter hymns on the CD are also masterpieces, each one of them. The soloists (Bryn Terfel and Frederica von Stade) sing gloriously. The Orchestra plays divinely. 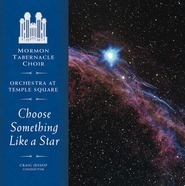 And the Tabernacle Choir has never sounded so fresh, focused, and disciplined as it does on this CD. Profoundly moving, spiritual, and beautiful. My enjoyment of this collection of music increases each time I listen to it. Truly and inspired work! I had the oportunity to see the Debut performance of this work and was very moved. I enjoyed new elements infused with a familiar yet contempory creation of the Requiem tradition. I haven't yet listened to the CD and hope some minor performance problems have been ironed out in the recording. Yet my opinion of the work is that it is transcending, inspiring and a beautiful blending of instrument and voice creating a unique and touching work of music. I watched the first concert where this was performed (Mormon Tabernacle, April 26, 2007). The music was phenominal. Mack Wilberg is at his finest with this music, which is all entirely written by Wilberg. 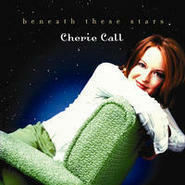 I highly recommend this CD.